Breast cancer is the most common cancer in women, with over 230,000 new cases diagnosed in the United States and 1.5 million new cases of invasive carcinoma diagnosed worldwide each year. For women, there is an approximately 12.4% (1 in 8) individual lifetime chance of developing invasive breast cancer. Breast cancer death rates declined 39% from 1989 to 2015 among women, and this progress was attributed to improvements in early detection . 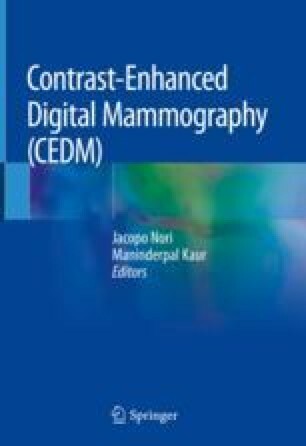 Therefore, the ultimate goal for any breast imaging modality is to decrease the mortality from breast cancer by improving breast cancer detection at its early stage and diagnosis.